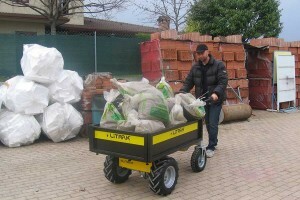 The DT-300L is a four wheel electric carrier. 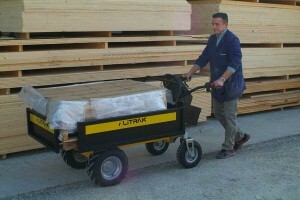 The 260-liter flatbed is perfect for gardening, in paddocks or in animal farms. The strong swinging axle in galvanized steel allows handling operations also on uneven grounds. 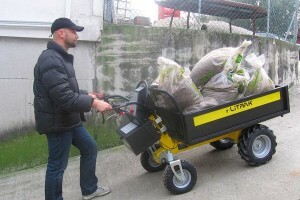 The two pivoting wheels grant an easy steering. Its compact dimensions enable passage through gates and narrow passages. Battery recharge: approx. 8 hrs.